Love freebies? If so, don’t miss the King Soopers FREE Friday Download! Start your weekend off right with this week’s King Soopers FREE Friday download for one FREE RXBAR Single (1.8 oz., select varieties)! This eCoupon is available for download on April only, but you have until April 21 to redeem it. Available in most stores. Limit of one coupon per item. Digital coupons and paper coupons may not be combined on the purchase of a single unit. What is the King Soopers Free Friday Download? Between you and me, I’ve jumped through a lot of hoops to score freebies, so it’s nice to come across a simple way to save now and again. The King Soopers Free Friday Download is just that. It’s a super easy way to snag 100% FREE full-size, edible products. The Friday freebie from King Soopers is probably the easiest free product you’ll ever get. All you have to do is download an eCoupon here on Friday and then head to the nearest King Soopers to redeem it. So, what are you waiting for, download your King Soopers Free Friday Download coupon now! The first King Soopers was opened in Arvada, Colorado in 1947 by Lloyd J. King. King’s goal was to provide shoppers with value, quality, and good service, all under one roof. Within a few years, King Soopers had gone from 1 store to 9. To this day, King Soopers has a significant presence in Colorado and even extends into Wyoming. King Soopers became part of the Kroger family in 1983. 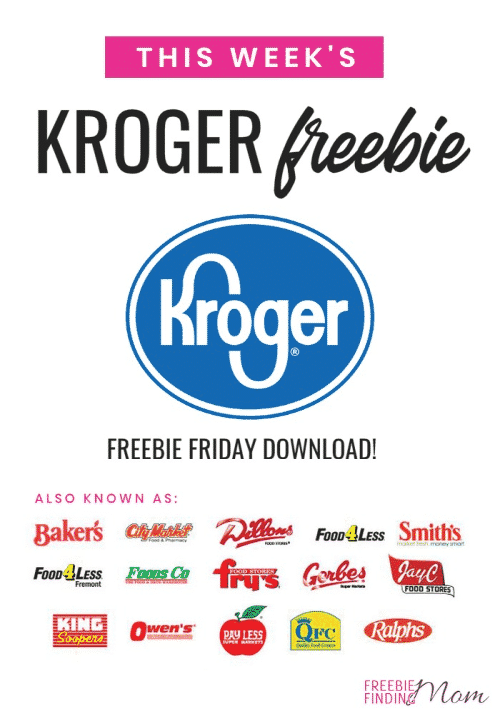 Note: All of the stores in the Kroger family participate in the Free Friday Download, so if you don’t live near a King Soopers you may still be able to score an awesome Friday freebie. See the Kroger Free Friday Download here.